Plasma cutting is a process that cuts through electrically conductive materials and it is done with the help of an accelerated jet or hot plasma. Whether you’re a large business house, small shop, or one-man show, Lake Point Fab has a fabrication solution for you. This process of cutting is frequently used in fabrication shops, automotive repair and restoration, industrial construction, and salvage and scrapping operations. Before appointing us for the task you need to know the process well and proceed accordingly. The basic cutting process involves making an electrical channel of superheated gas which is plasma from the plasma cutter itself. Plasma cutting is an effective means of cutting thin and thick materials alike. This is done taking help from hand held torches. Plasma cutters are extremely useful for cutting sheet metals in different shapes. Our CNC plasma cutting machines are manufactured with certified laser calibration equipment so you can count on precision and quality. Heavy steel frames ensure durability and stability for consistently accurate cutting. For several CNC machines, a material database stores several parameters, pierce delay, including feed rate, pierce height, and many others so you don’t have to spend time in programming settings while switching materials. 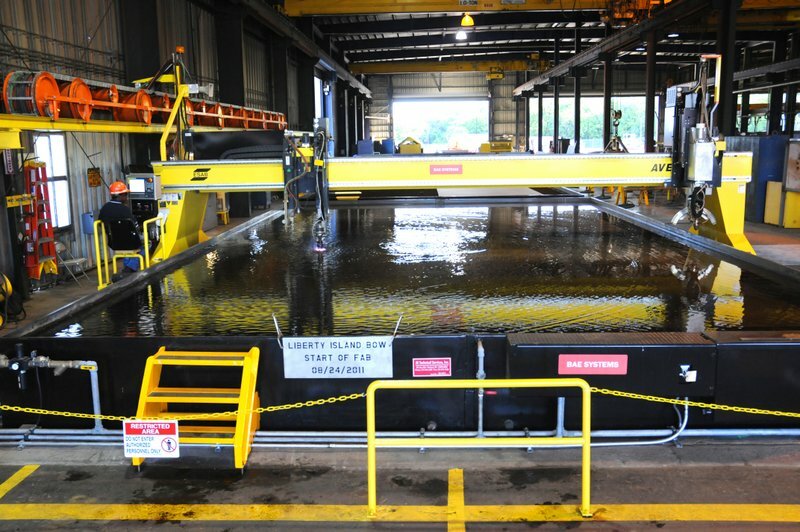 Lake Point Fab solves your custom fabrication and equipment repair challenges. From design through installation, through years of service, Lake Point Fab’s custom solutions meet your unique requirements.